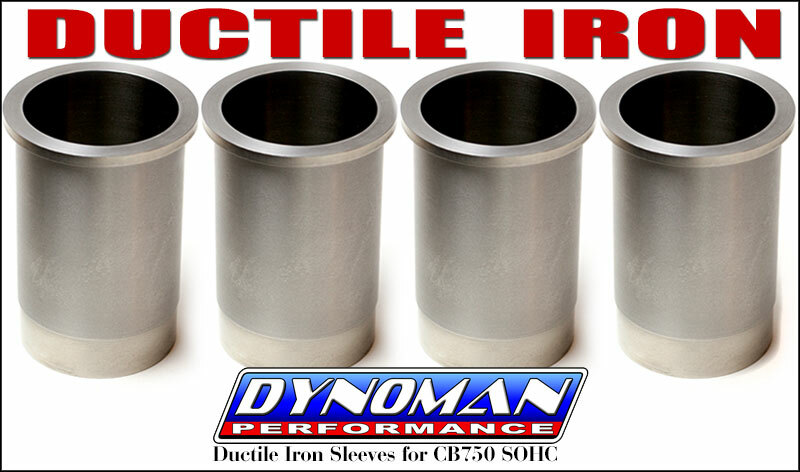 We sell sleeves for ALL MOTORCYCLES! we would be happy to make them for you! NOTE: Sleeves will need to be installed and then bored and honed to the proper size. Sleeves do not come pre-bored and honed. If you are installing oversize sleeves the cylinder block & engine cases will also need to be bored to the correct size for the larger sleeves before installation. The cylinder may need to be lightly surfaced after new sleeves are installed. We highly recommend that all of this work be performed by a qualified motorcycle machine shop! Made to order, please allow 1 to 2 weeks. Made from finest quality USA-made cast iron, machined to exact tolerances (not imported or offshore iron). Over 3 times stronger than stock sleeves at 100,000 PSI tensile strength! Simple installation, no cylinder block or case boring required. Thin-wall design for maximum heat dissipation and less weight. 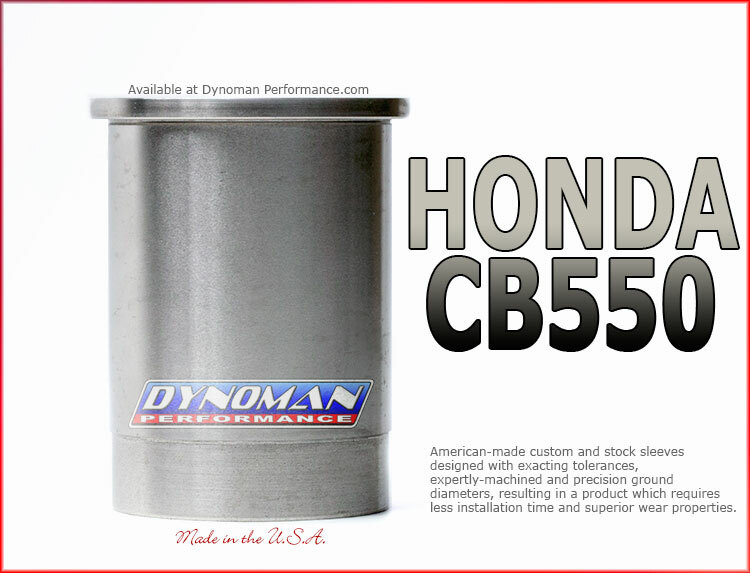 Recommended for use with supercharged, turbocharged, and NOS engines. Proudly Made in the USA from the finest available materials. This is a special order item that takes 3 to 6 weeks production time. 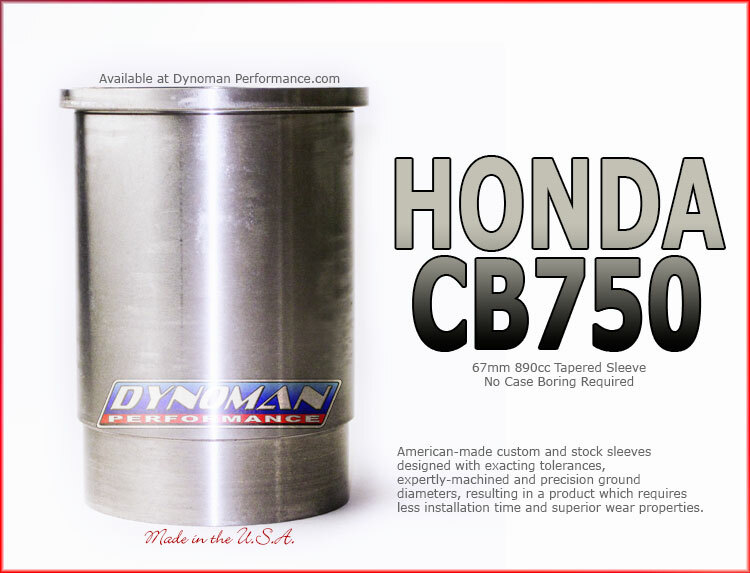 CB750 SOHC 1969-78 73mm and up Custom Sleeves also available! Email us with your specs for availability and quote. 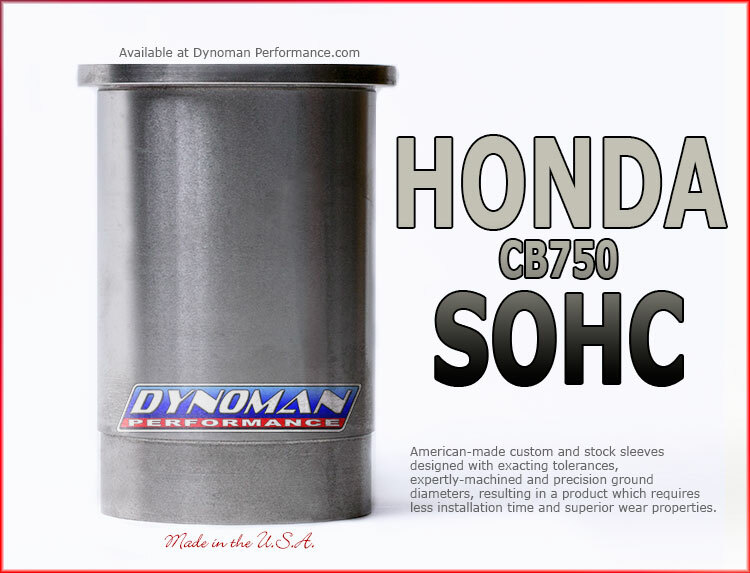 For use with K985 piston kit to make CB750 into an 890cc bore. Please contact us to price and order sleeves. CUSTOM sizes available! !